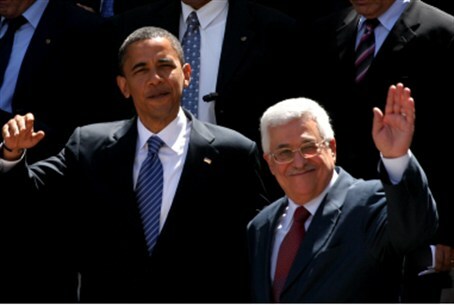 The US believes Israel-PA talks could resume, but is waiting to hear from regional leaders. The United States believes there may be a way to rekindle stalemated Middle East peace talks, but wants to hear ideas first from regional leaders, US Secretary of State John Kerry said Wednesday, the AFP news agency reports. "I believe that there are possibilities," Kerry said after talks with Jordanian Foreign Minister Nasser Judeh, adding he was an optimist at heart. "I think we start out by listening and get a sense of what the current state of possibilities are and then begin to make some choices," Kerry said. "It would be a huge mistake, almost an arrogant step, to suddenly be announcing this and that without listening first." US President Barack Obama is due to soon make his first visit to Israel as US leader, and Kerry told journalists in a joint press conference that it would give him the opportunity to hear from both sides. "Everybody understands that the United States of America is an indispensable entity with respect to that process. I understand that. The president understands that," Kerry said. "And you know, the president is not prepared at this point in time to do more than to listen to the parties." Kerry said while the United States was committed to exploring every avenue to get Israel and the Palestinian Authority back to the negotiating table after two years, he reiterated a warning that the window of opportunity was closing. The White House has not announced a date for the trip yet, but the Israeli press has said Obama is expected in Jerusalem on March 20 for a three-day visit, before heading to Jordan, which is a vital player in the process. Judeh said he believed the US administration was interested in pursuing paths to regional peace, but agreed that the opportunity was slipping away. "There's agreement between us and the US that the window is closing and that we have to move fast and we have to work together, and that this remains a priority and of paramount importance to all of us," Judeh said. "Peace in the Middle East... is peace of mind for the rest of the world. This is not just a local or regional conflict; this is a global conflict with global ramifications, and it remains a core central issue."